The big buzz at the Geneva Motor Show this year was CarPlay from Apple and how car companies have integrated the technology in their vehicles. Mercedes-Benz is one of those car companies. In fact, they are planning on going a step further by providing aftermarket CarPlay installations for their customers with older model cars. 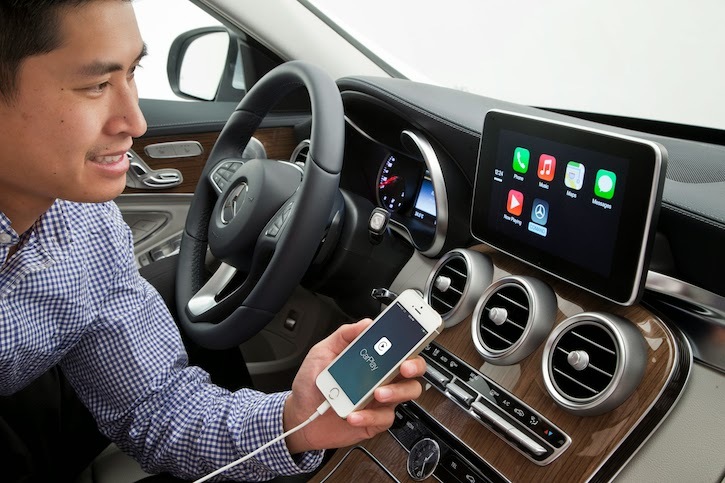 According to a report on 9to5Mac, Mercedes-Benz has plans on offering Apple's latest in-car technology to its existing customers by the end of this year. CarPlay will most likely be a dealer-installed accessory for select older models. The announcement comes after Mercedes announced its new C-Class at the Motor Show in Switzerland. CarPlay will be one of the main highlights of the car. Besides Mercedes, Ferrari and Volvo have already announced their FF and XC 90 SUV models respectively, which will both be available for purchase with CarPlay. CarPlay is a feature hidden in iOS 7. Which means it is possible that we may start seeing more people installing their iPads in their cars to take advantage of the technology.